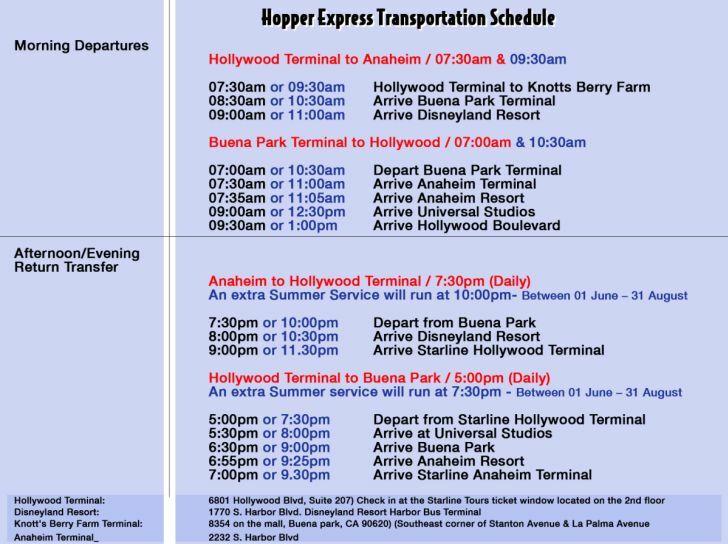 Round Trip Transportation between Hollywood, and Anaheim with services between Disneyland Resort, Universal Studios, Knott’s Berry Farm and Hollywood. 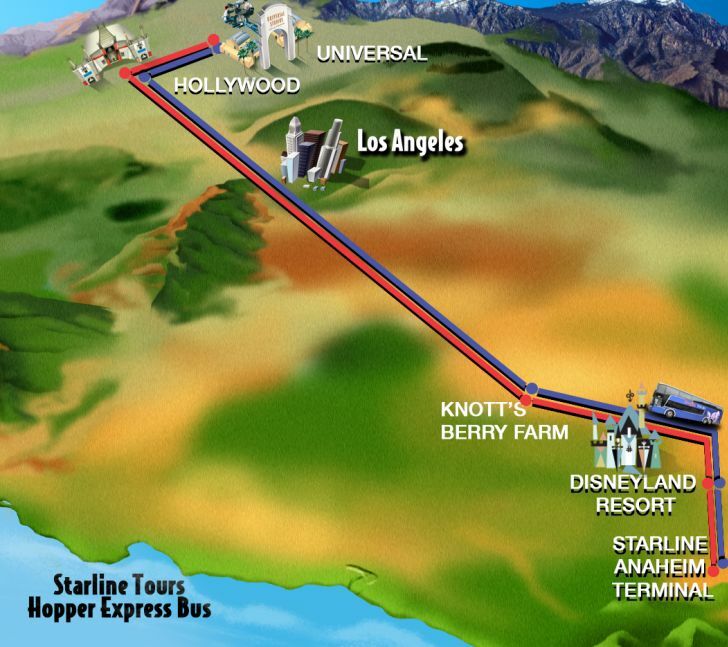 Starline Tours Hollywood Terminal, Orange Court. Located on Hollywood Blvd., at the famous Chinese Theatre and Walk of Fame. Important Disclaimers: Bus / vehicles are subject to change • Booking reservations are recommended to guarantee seats. (bus seats are limited) • Theme Park & Attraction tickets are NOT included in transportation. Book theme park admission tickets online • Arrival times may vary depending on traffic/special events • Price is per person round trip. 3 and under are free.